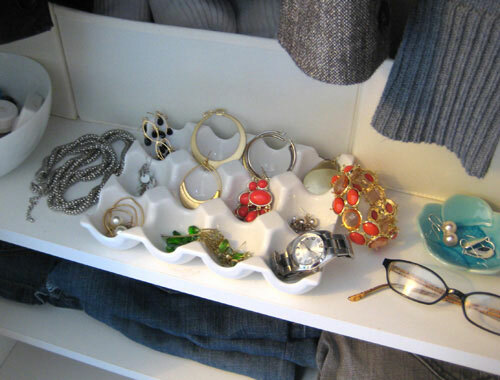 In our old house, we had an enormous master bathroom where I had enough room for a dresser whose sole purpose was to store my jewelry. Let your head absorb that for a moment. 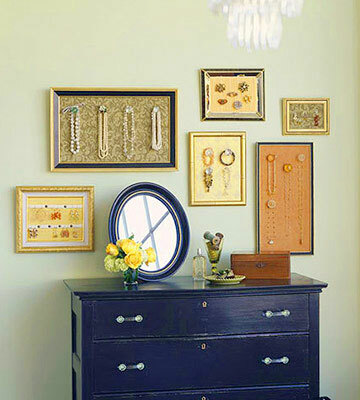 An entire dresser for jewelry! 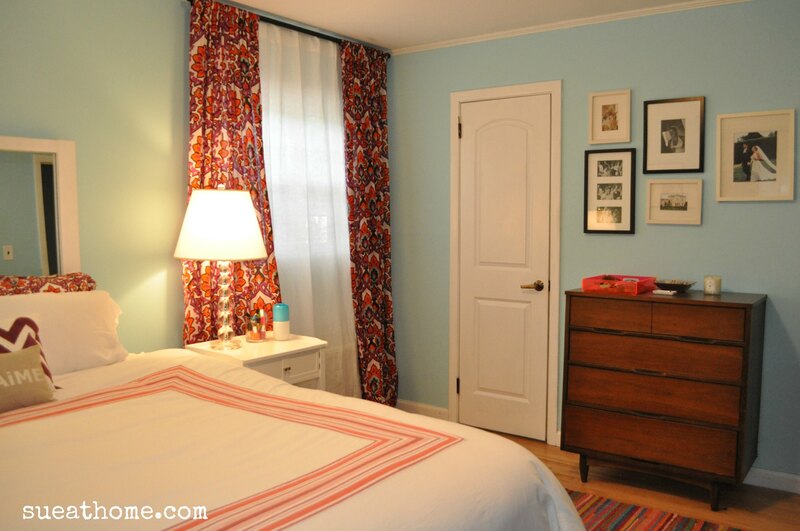 Now, in my small master, there’s barely a dresser top and one drawer for my baubles. Which means that most of them live in bags in the closet. It’s sad, really. 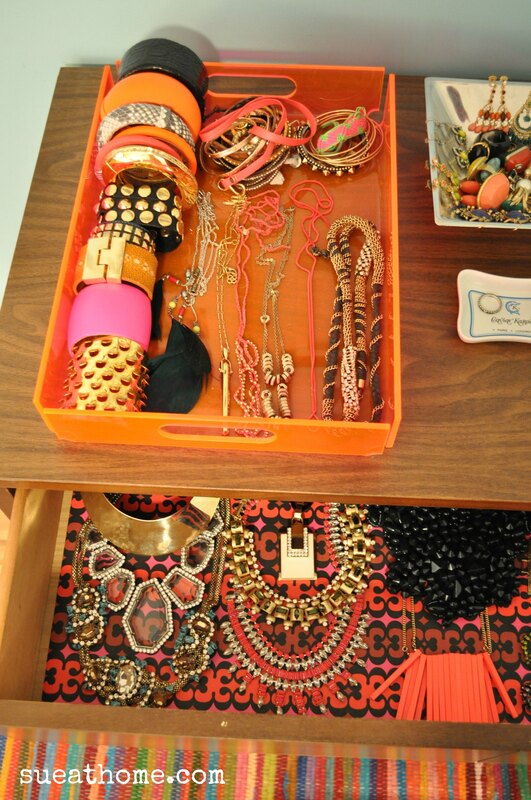 The neon orange acrylic tray was a Home Goods find. 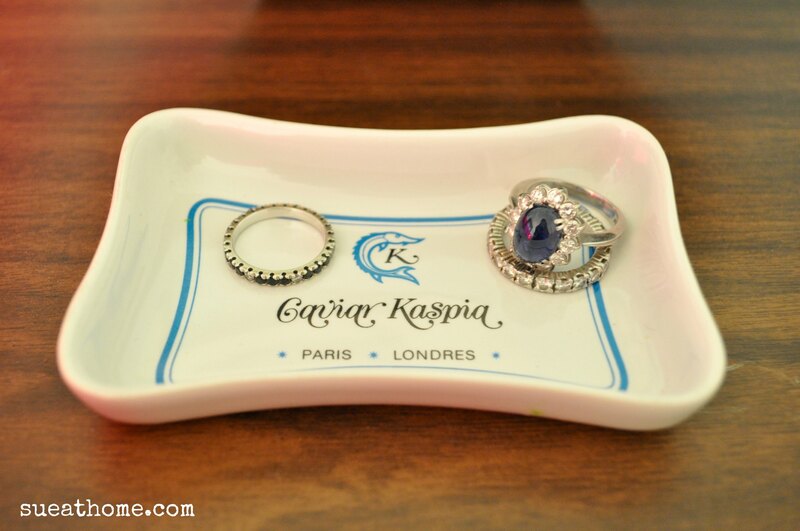 It’s lived all over the house but I like it best for my jewelry. 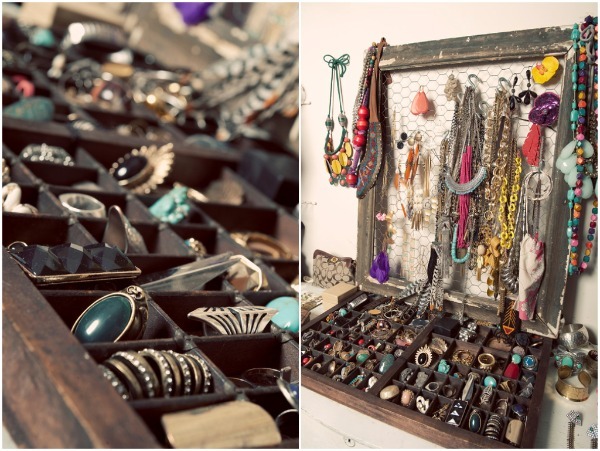 I keep most of the everyday options in here – some long chain necklaces, wrap bracelets, and some bangles – big and small. 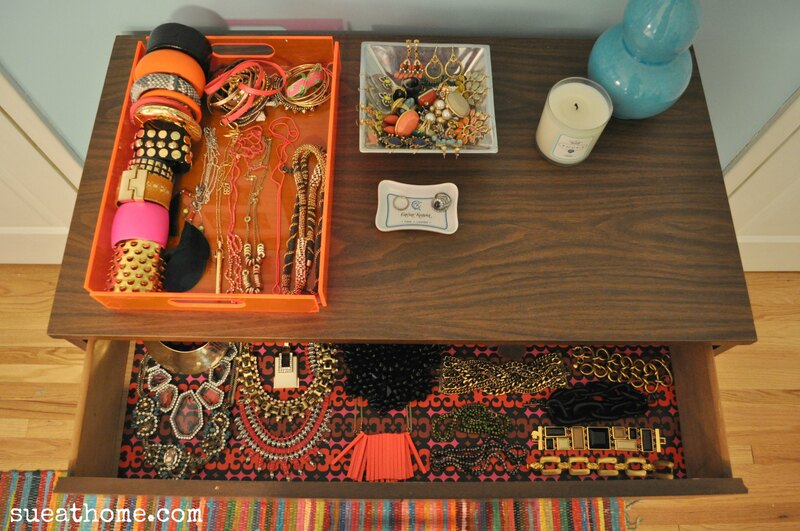 Some of the bigger statement pieces – necklaces and bracelets – live in the top drawer of the dresser. The “drawer liner” is actually wrapping paper that I got years ago at…you’re never going to believe this…Old Navy. Crazy, right? I love it and I might frame a piece of it to display in front of the poster in the room. I have way too many pieces to do any of these options (remember, you’re only seeing a fraction of my collection in the pics above) but as the mom of two girls, I know I’ll regret parting with any of it. Think of all the future “dress-up” parties we’ll need things for, right?? 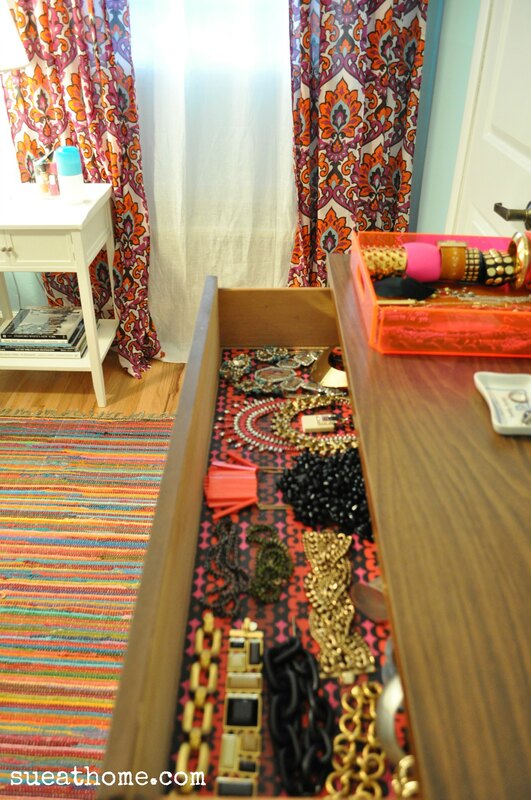 Love the Old Navy drawer liner – great idea! 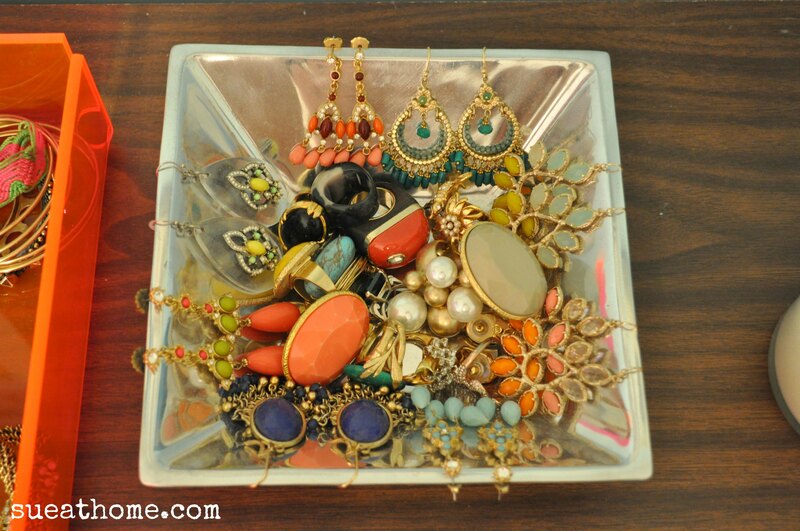 I use the old fashioned jewelry box. And the rest is crammed in boxes in my drawer. 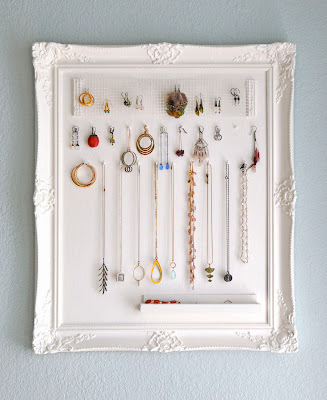 There are some lovely slender jewelry cabinets. I’m sure you could find one on craigslist and diy the crap out of it! It’s certainly highly functional. 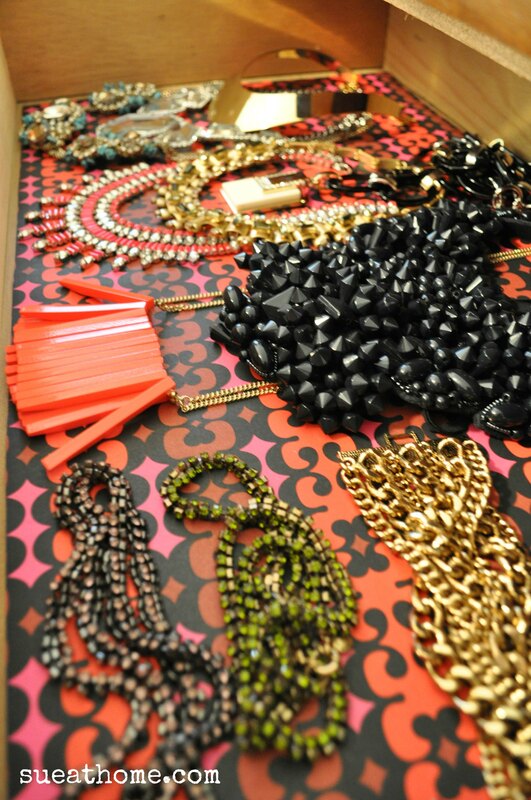 Problem is a lot of my stuff is big so I need more storage space for the big chunky pieces!